Centre County Housing and Land Trust (CCHLT) is one of over 200 community land trusts in the United States. 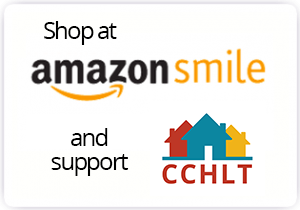 CCHLT, along with the State College Community Land Trust, provide affordable housing to Centre County, PA through the community land trust model. 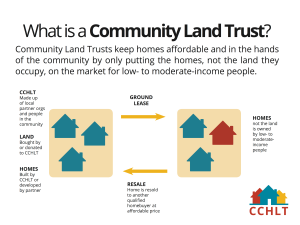 From the 2011 Comprehensive CLT Study by Emily Thaden, “a Community Land Trust is one of several resale-restricted, owner-occupied housing models, collectively known as―shared equity home ownership, which are being used in communities throughout the United States to help low and moderate income households attain—and retain—homeownership. CLTs own the land where owner-occupied homes are located. Homeowners purchase only the structural improvements, while paying a modest monthly fee to lease the underlying land from the CLT. Therefore, homeowners carry a significantly smaller mortgage than if they had bought both the home and land in the conventional market. At the time of purchase, a CLT’s homeowners agree to resale restrictions set out in the ground lease that limits the future resale price of their homes in order to keep them affordable for the next generation of lower income buyers.